MGP has become a house hold name when it comes to Christian Hiphop in Nigeria. 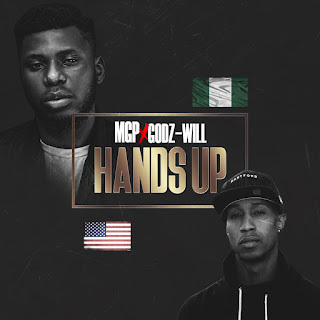 Now He teams up with Godz-Will, an American based rapper of same genre to make this song titled HANDS UP. The song talks mainly on submission and worship to the most high God. But believe me its far from the normal, i mean its wavy and fire at the same time lol! Enough of the writing, hit the download link below to experience greatness.